The Baixa and Chiado, the historical center of Lisbon, was partially destroyed by the earthquake of 1755 and subsequent disastrous fire. 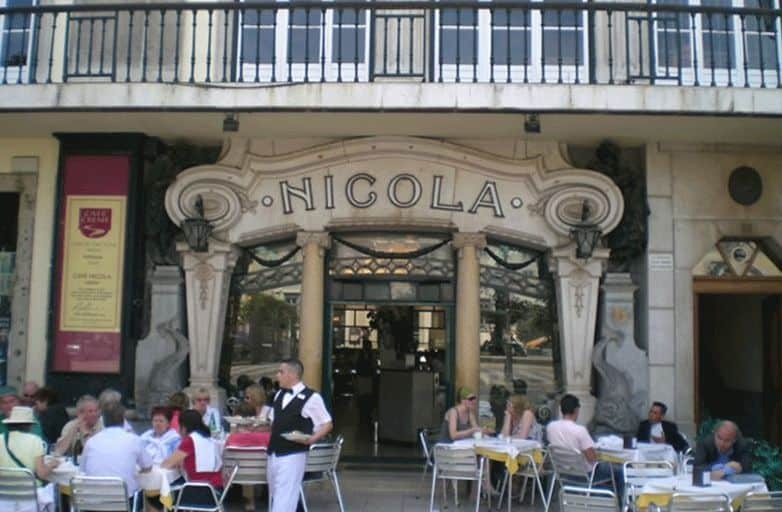 You find there good shopping opportunities and nice cafes, for example the A Brasileira, Nicola and the Kaffeehaus. 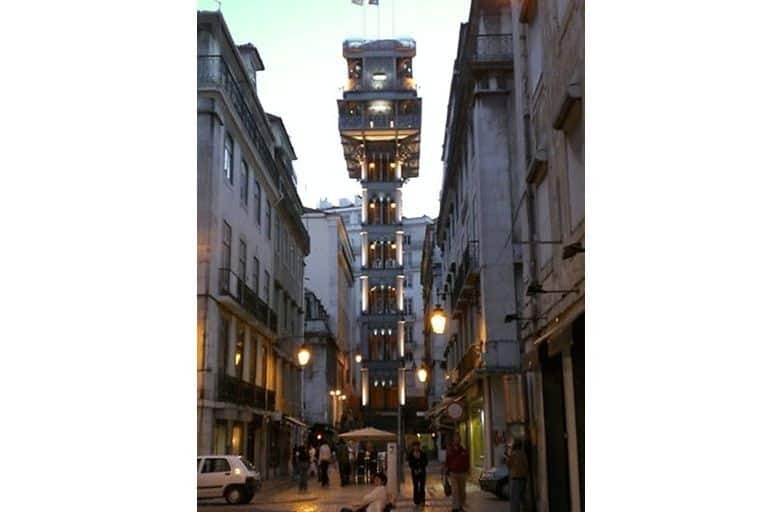 The elevator Elevador da Santa Justa was built by Gustave Eiffel in 1889 and is one of the main attractions in Lisbon. 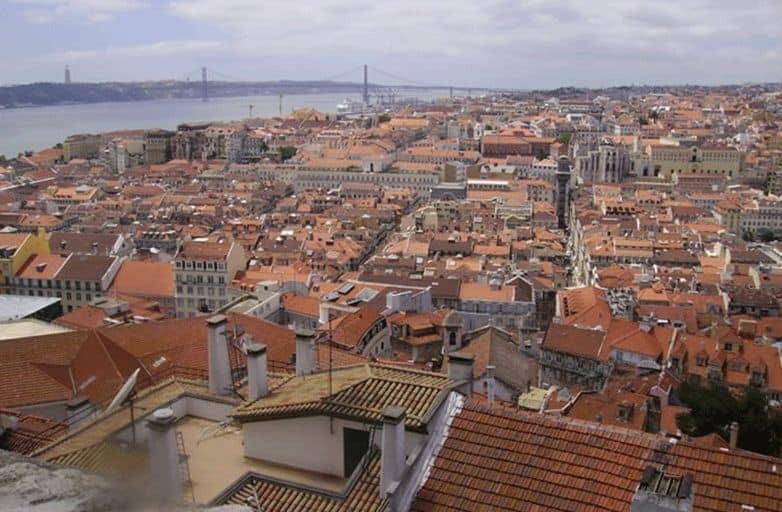 Enjoy the most beautiful view over the old town from the Castelo Sao Jorge (Castle of Saint Jorge) – the oldest building in town. The castle with its towers and walls was built by the Romans and Visigoths who used it as a fortified camp. In the 8th century, the Moors occupied the strategically important hill and stayed for 400 years. Only in 1147 could the Christians reconquer the castle and defend the city from there. In the late 14th century the fortress was devoted to São Jorge. 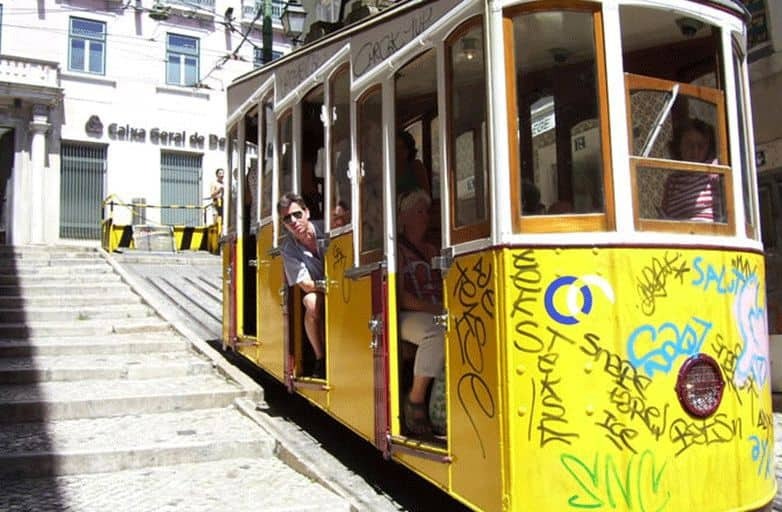 The district Bairro Alto is located next to Baixa on the hill and is the bar district of Lisbon. You find a variety of bars and restaurants in the narrow streets. 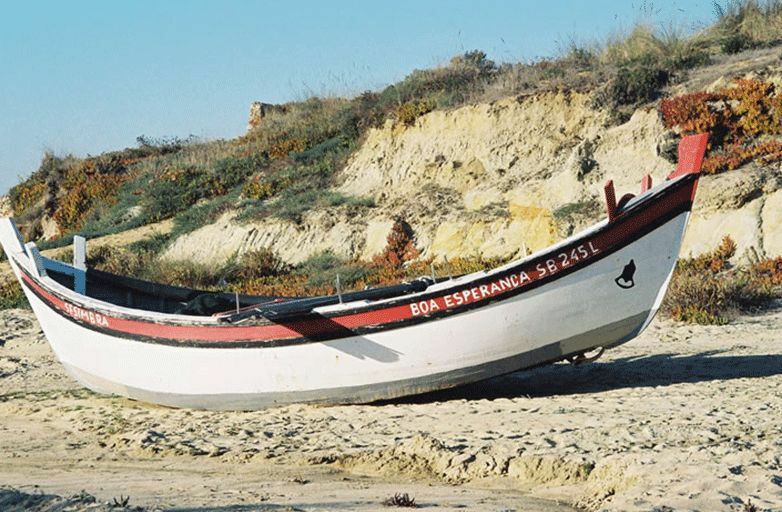 In the traditional tascas the tourists and locals can experience and feel the Portuguese fado music. The Alfacinhas, as the Lisboners are called, go out often and love to start the night in Bairro Alto. The party life starts early in the evening and doesn’t end until the early morning hours. 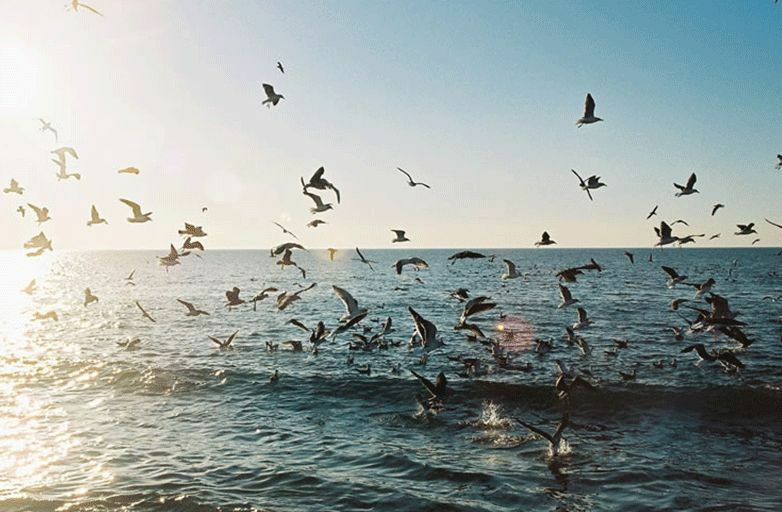 If you want to see and feel the Mediterranean nightlife you definitely shouldn`t miss an evening there. You can have a nice dinner in one of the restaurants, for example the Sul, a Gruta, Buenos Aires and El Gordo. From 2-3 am onwards many people continue partying and go down to the nearby nightclubs, such as Lux, Kremlin, music box or Jamaica. The Alfama lies on one of the many hills of Lisbon and offers you a closer look into the Portuguese traditional way of living. 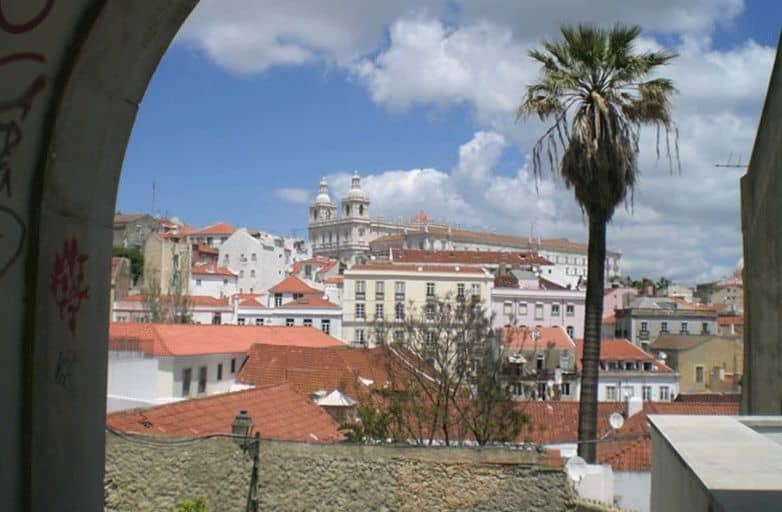 The ones, who want to walk, can go straight up from Baixa-Chiado to the Castelo of São Jorge and take the direct way through Alfama. On the way we pass the beautiful restaurant, theater and cultural center Chapitô. On the way back you could alternatively take the famous tram 24. 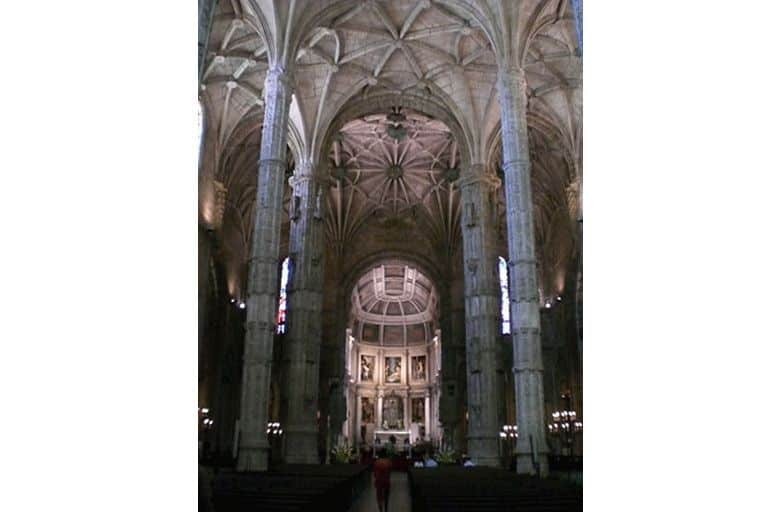 The Romanesque Cathedral of Lisbon (Sé), dating back to the 12th century, is located in the heart of this district. Apparently it was built on the site of the birthplace of St. Anthony of Padua. Saint Anthony was born in 1195 in Lisbon and lived as a Franciscan monk in Italy. To honor him on the 13th of June, the city has a public holiday called Santo Antonio and organizes a great festival. 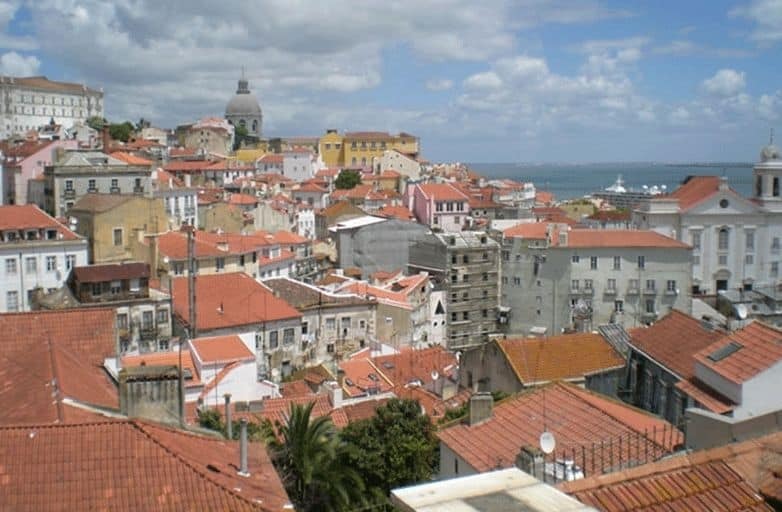 The main attraction is in Alfama where they grill sardines and offer wine and other goodies. 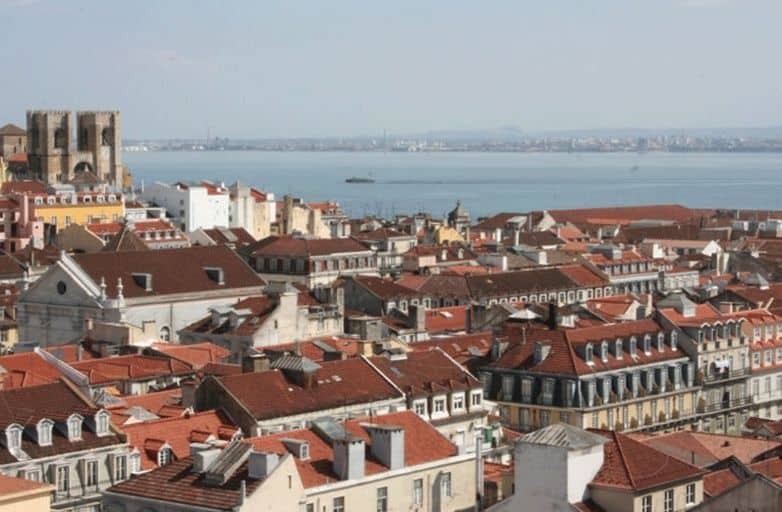 Following the tram tracks you will end up at a big terrace Miradouro de Santa Luzia from which one has a beautiful view over Alfama and the Tagus River Delta. From here you can already see the church São Vicente de Fora and the Pantheon, both monuments are close to each other. 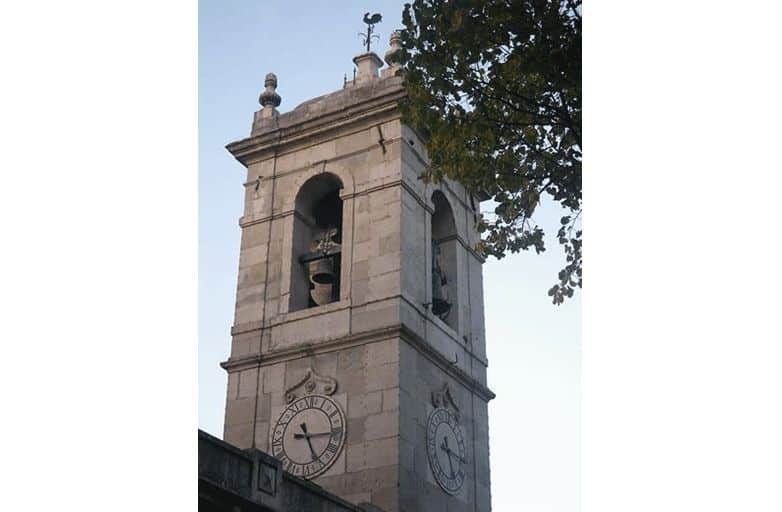 The church was built between 1582-1627 and is the first building of the Italian architect Filippo Terzi in Portugal. 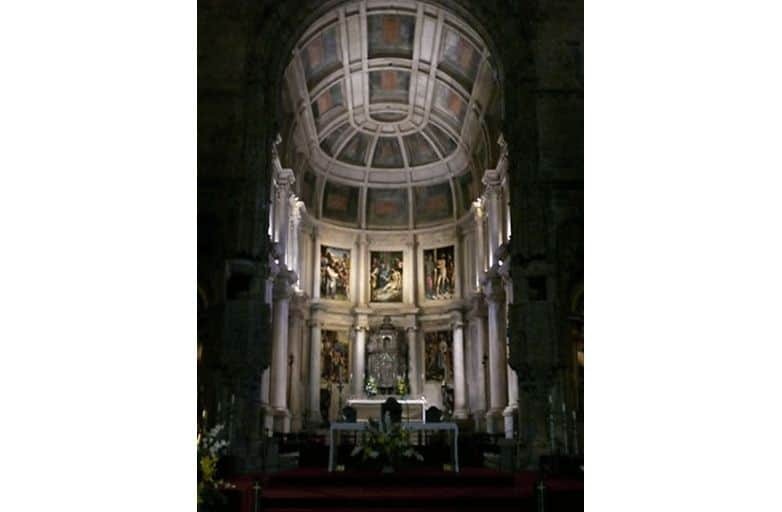 Admire at the entrance of this renaissance church the statues of St. Vincent, Sebastian and Augustine and the main altar with a baldachin from the artist Machado de Castro. Next to the church is a former Augustinian monastery, now a museum, with notable tiles – azulejos in Portuguese – from the 18th century depicting events in Portuguese history. The monumental building of the Pantheon has emerged from the former Igreja de Santa Engrácia, which was destroyed in 1681. The reconstruction stopped for centuries and was only completed in 1966. You find here the tombs of Vasco da Gama, Henry the Navigator, the poet Camões and the Duke of Albuquerque. 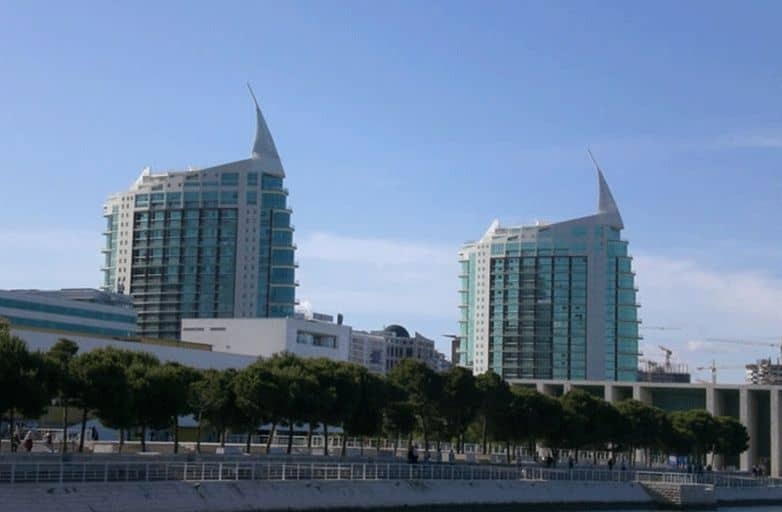 This district was built for the Expo in 1998, when Lisbon was the world capital of culture and consists largely of modern architecture. 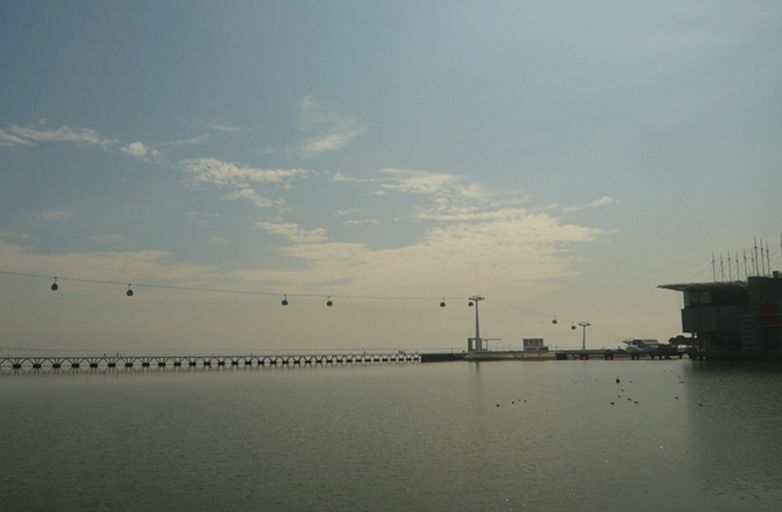 In a cable car you can easily explore the Expo site from above. 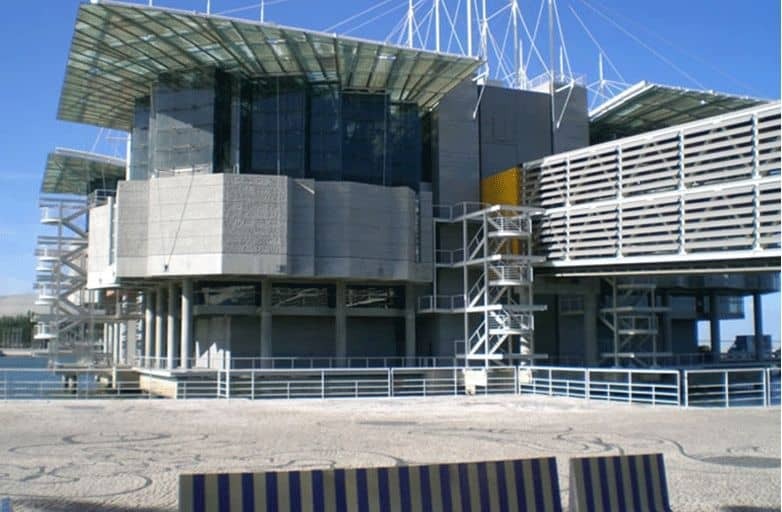 The shopping center Vasco da Gama offers excellent shopping facilities. A short visit here can be combined on the way to or from the airport as it is only about 5 minutes away. 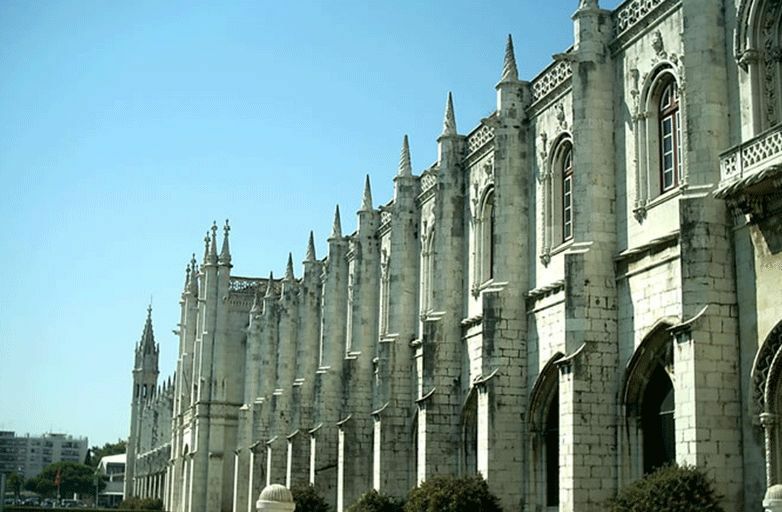 The Mosteiro dos Jeronimos is located in Belém a suburb of Lisbon and is one of the most impressive buildings in town – maybe even in the world. The monastery was built in the Manueline style, a variant of Late Gothic architecture, completed in 1544. The construction started in 1502 just after Vasco da Gama had discovered India. You find here the tombs of Vasco da Gama and the famous Portuguese poet Luis de Camões. In the monastery many Portugues kings were buried. Their tombs lie at the high altar. 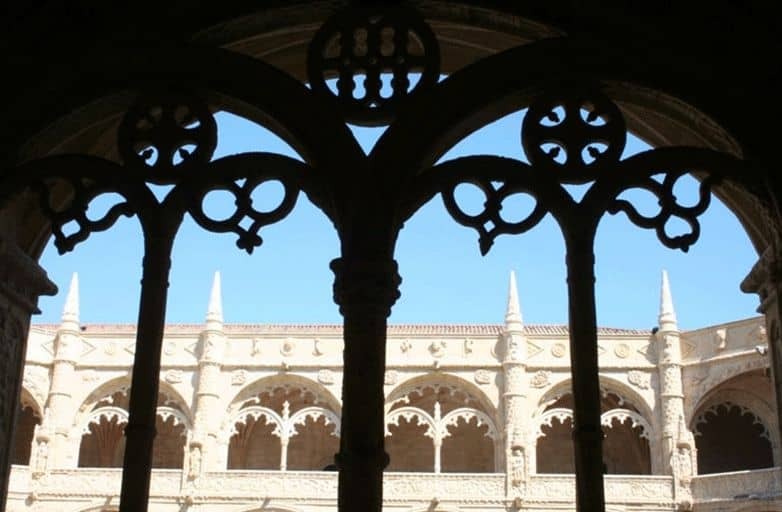 The two-storey cloister is admired as one of the finest in the world. Since 1983, the monastery is a UNESCO World Heritage Site. The monastery has survived the earthquake of 1755 as one of the few large buildings. The world famous Pastéis de Belém in the pastry shop right next door are a must for gourmets. Sintra, an old Moorish city conquered in 1147 by the Portuguese King Alfonso I. is definitely worth a day trip. Since the Middle Ages it used as summer residence of Portuguese kings and nobles. The coastal mountains of Serra de Sintra has a mild, humid climate, -producing a very special flora and fauna. The cultural and historical attractions include the city palace Palacio Nacional, Palácio da Pena and the old Moorish castle Castelo dos Mouros. The Palacio Nacional is the main landmark of Sintra and has huge conical fireplace chimneys that rise above the great palace kitchen and is visible from afar. Between the 14th and the 20th century it was the royal summer residence. Arab influences can be found e.g. in the wood-carved ceilings and the ornate wall decoration with azulejos from the 15th-16th century. These tiles were made in Seville and are the oldest and most comprehensive collection of its kind on the Iberian Peninsula. 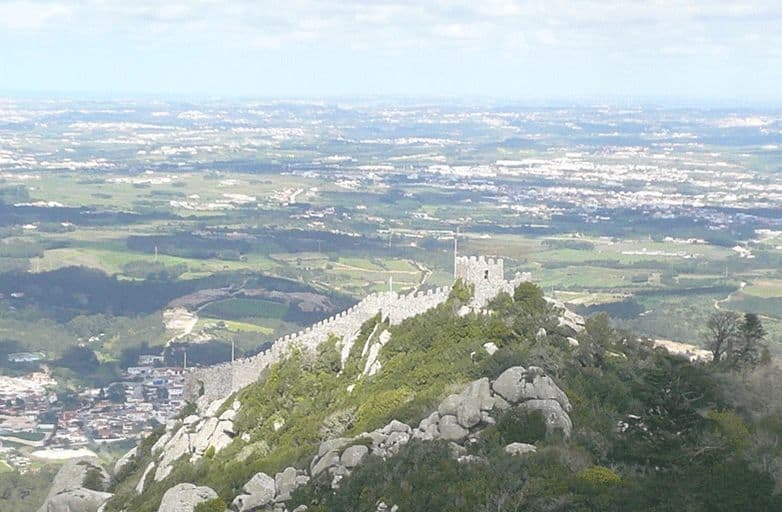 The Palácio da Pena was built in 1839 by D. Fernando II on the ruins of the monastery of Nossa Senhora da Pena. The monastery was once inhabited by the monks of the Order of Jerónimos and dates from 1503. The main facade, the church and the cloister, whose galleries are covered with azulejos from the year 1520, were retained. D. Fernando was born in Germany and brought the German architecture to Portugal. Inspired by the Bavarian castles (they call the palace “Neuschwanstein” of Portugal), it combines Moorish, Gothic and Manueline architecture. Because of the yellow and pink facades, which were also the original colors of the Palácio da Pena, one can already admire the monument from far. It is furnished with original antique pieces and offers visitors a magnificent view over the surrounding area. The Castelo dos Mouros was built by the Moors in the 8th-9th century, who ruled over the Iberian Peninsula during this period. The Portuguese King Alfonso I conquered in the 12th century the castle and built a Christian chapel. The ruins of this castle and fortifications are in a romantic deciduous forest and the surrounding Serra de Sintra offers perfect conditions for hiking, cycling, mountain biking, climbing and meditation. Cabo da Roca, the westernmost point of Europe (mainland) and is located in the Serra de Sintra. 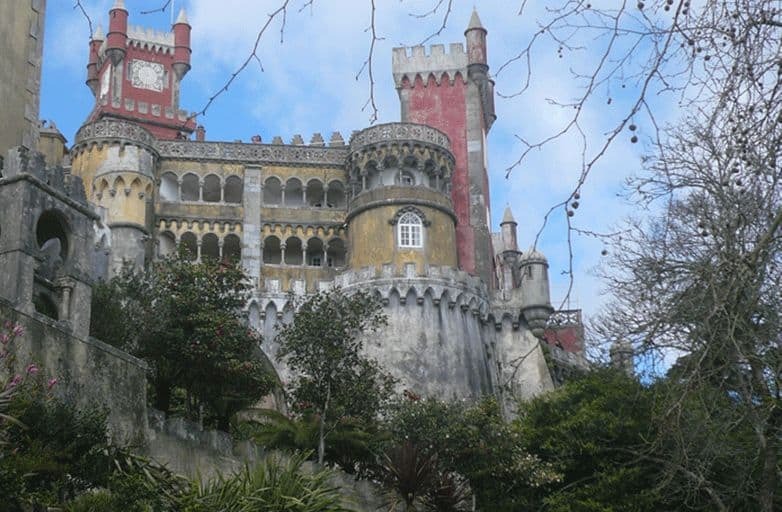 Sintra itself is also just a short stroll away. Since the Cabo da Roca is situated 140 meters above sea level you have a stunning view over the Atlantic Ocean until the horizon. The steep cliffs and the glowing rock formations at Cabo da Roca are more than impressive and a must for every tourist. 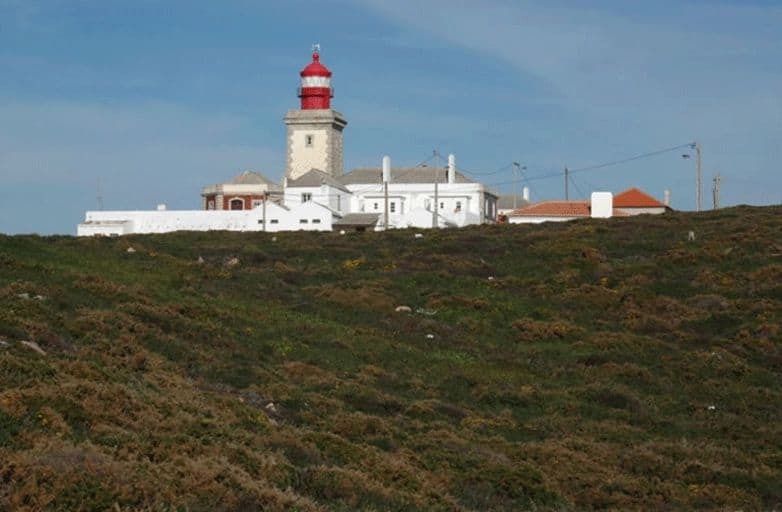 The lighthouse at the Cape with its red and white stripes is an attraction in itself. 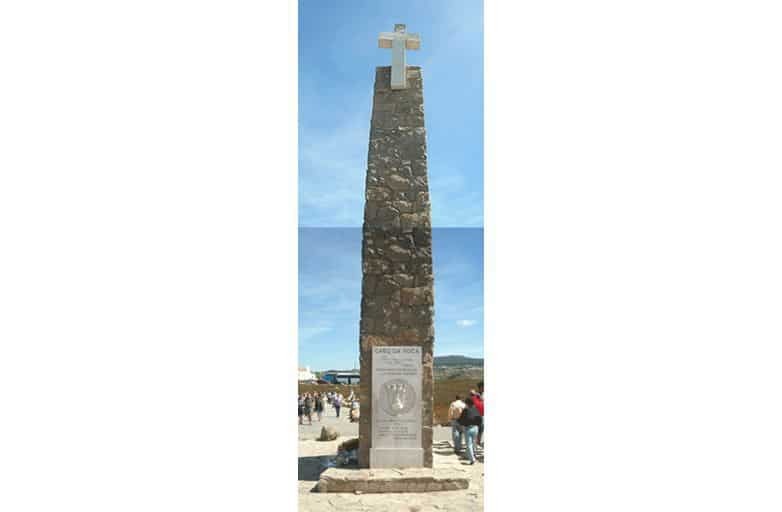 It has been written a lot about the Cabo da Roca. 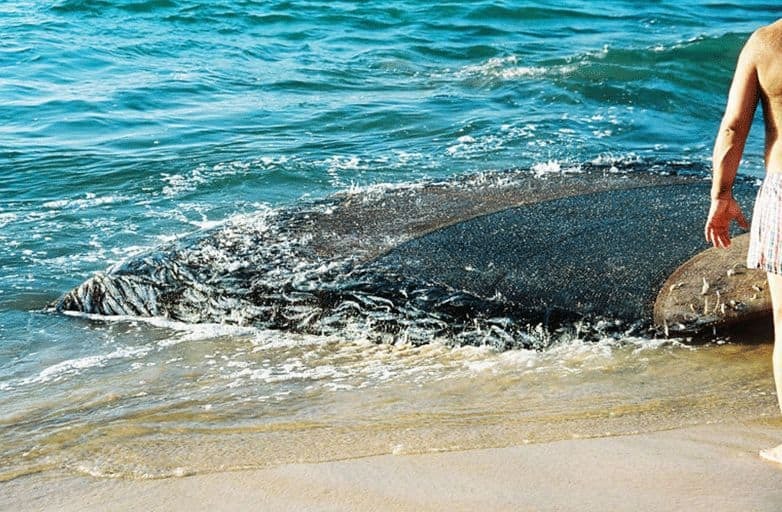 The famous Portuguese poet Luis de Camoes once wrote about the Cape, this is the place “where the earth ends and the sea begins”. There is no better description for the sea view overlooking the beautiful cliffs. In the midst of the nature reserve Arrábida lies the lagoon Lagoa de Albufeira and the paradisiacal beach of Praia do Meco. Meco is a small fishing village. 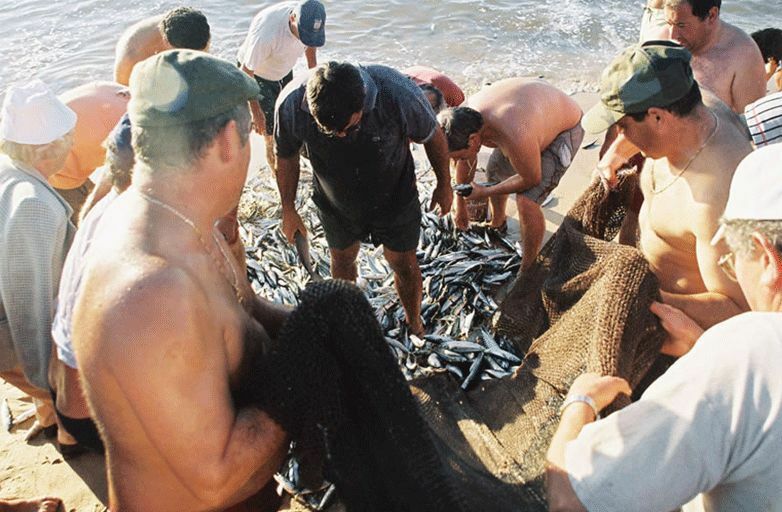 In spring locals catch sardines and mackerel following old traditions. 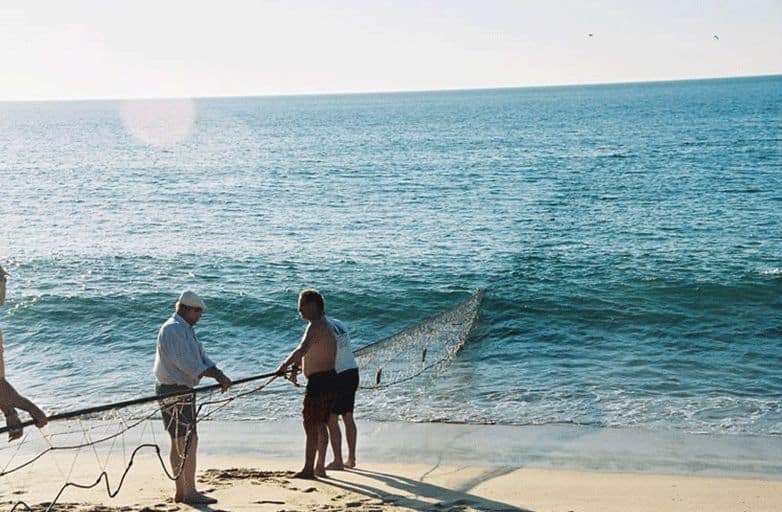 The nets are pulled by local men and women on to the beach, where help is gladly accepted and rewarded with delicious fresh fish. The huge sandy beach stretches over 30 km from the Costa de Caparica on the southern Tagus estuary up to the Cabo Espichel in Sesimbra. To the east are the mountains Serra da Arrábida. 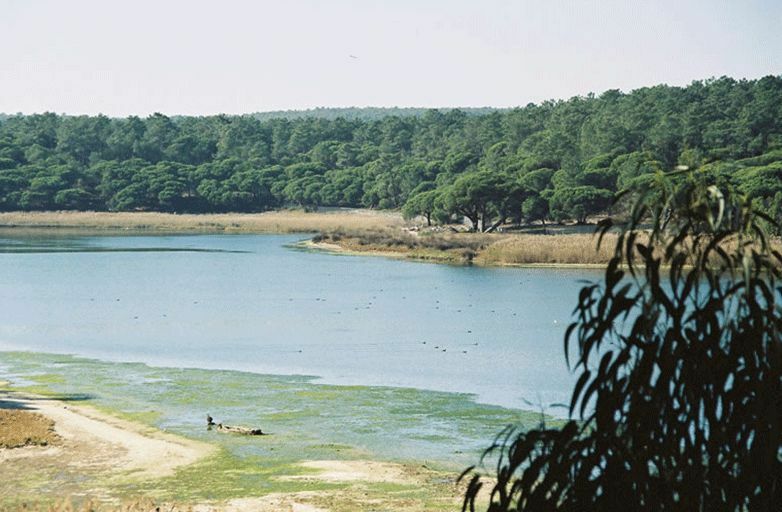 This nature reserve with pine forests, cliffs and dunes is about 40 km from Lisbon.